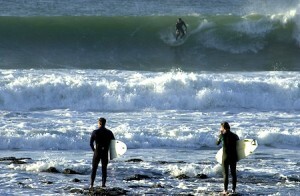 Over 120 international surfers have entered the 2012 Billabong Pro J-Bay, and the event has a full house of 144 entries. Thirteen of the top 32 surfers in the world have entered, as well as the majority of South Africa’s top competitors. International surfers include the likes of John John Florence, Kolohe Andino, Adam Melling and Mark Occhilupo who won the event back in 1984, as well as Adriano de Souza and the Hobgood brothers CJ and Damien. The local contingent includes seasoned campaigner Travis Logie, two times and defending champion Jordy Smith, as well as South African stalwarts Royden Bryson and Davey Weare. ASP Africa Operations Manager Colin Fitch was excited about the entries into the event. There is however, a limit to the number of surfers who can compete in the event. The Billabong Pro J-Bay is set to run 10-15 July and is a 6 Star Men’s event on the ASP World Tour.